Sled Dogs Snowskates can give you the ultimate ‘skating in the snow’ experience. For skating aficionados, getting equipment that is suitable for skating in the snow is not easy. Most of the common equipment that boasts the feature usually comes with an intolerable shortcoming. Sled Dogs has announced the development of snowskates that would give you the ultimate ‘skating in the snow’ experience. Resulting from years of research and development, the Sled Dogs Snowskates is the most advanced hybrid of ski boots and snowboards you’ll ever see. The snowskate features steel edges that ensure maximum grip at high speeds and on the roughest terrains. The liner is comfortable and the design accommodates high ankle support. All these factors combine to ensure a firm yet comfortable grip anytime you set out in the snow. Unlike any other snowskate, this beauty from Sled Dogs comes with a patented hardflex system. The system is optimally designed to promote flexibility at the core areas of the skate. When the terrain speed demands advanced maneuverability, the proprietary hardflex system also comes in handy. You’ll enjoy the maximum range of movement while skating in free mode or while performing your tricks and flicks. One of the major issues people have with traditional skis is the bulkiness. Carrying skis around is inconvenient, to say the least, and some of them could be very heavy. The Sled Dogs: Alpine Skates for the Slopes is designed to be lightweight and extremely portable. It’s no larger than your Timberland boots and can be easily fitted into a standard skater’s backpack. Learning skating is more fun with the easy to use Sled Dog Snowskate. 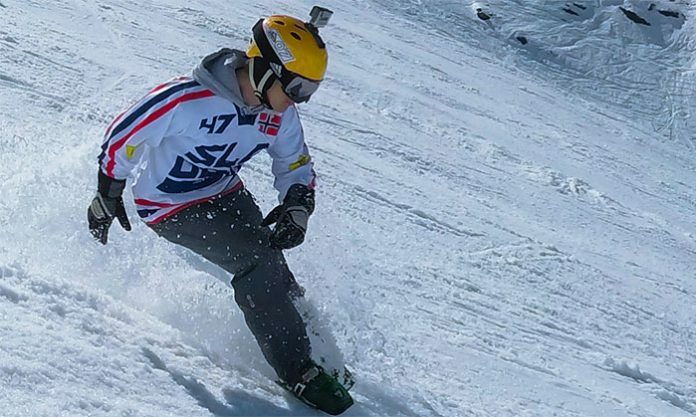 Professional ski and snowboard coaches have endorsed the snowskate as a great learning tool. If you have prior skating experience, you’ll seamlessly adapt to enjoying your favorite sport with these snowskates. There’s even an online course that could help you learn how to skate on snow using the Sled Dog Snowskate. K9.02: maximum speed and performance for the true mad dogs. The Sled Dogs snowskates have received positive support of the Broader Professional Hockey, Figure, Inline Skate community. Many players swapped their ice rink for the ski slope with Sled Dogs Snowskates and the result was simply amazing. As stated by a certified coach, the Sled Dog Snowskates experience and environment could help the players improve their fitness level, technique, and stride. If you’re looking to buy the Sled Dog Snowskates, the project is currently at the crowdfunding stage and in need of backers. You can check out the Indiegogo page for the pledges and rewards. The next batch of shipping is expected to arrive just in time for the winter.